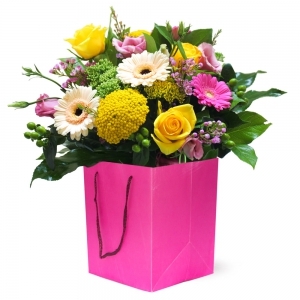 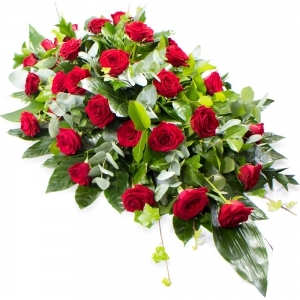 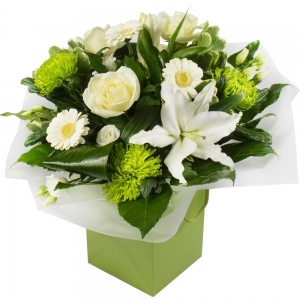 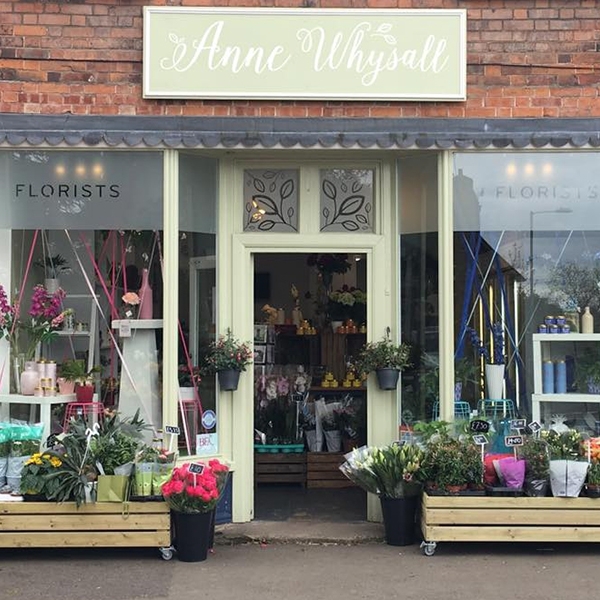 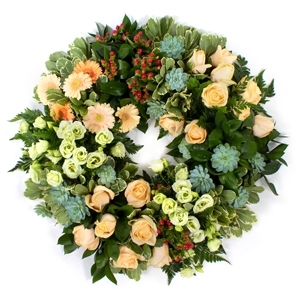 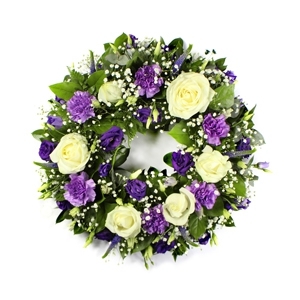 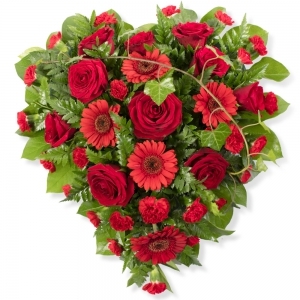 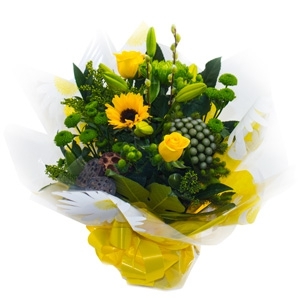 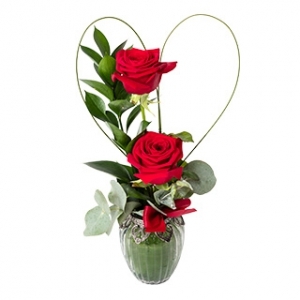 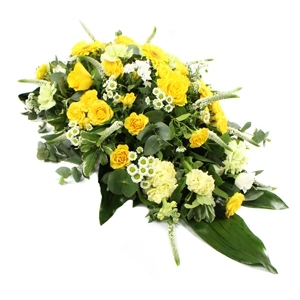 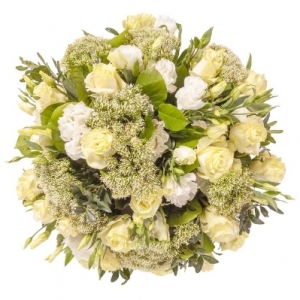 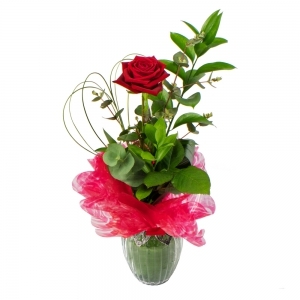 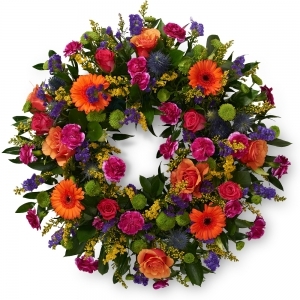 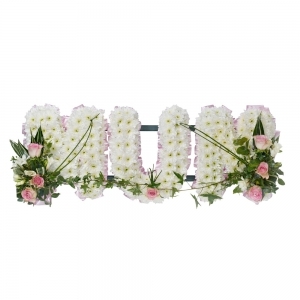 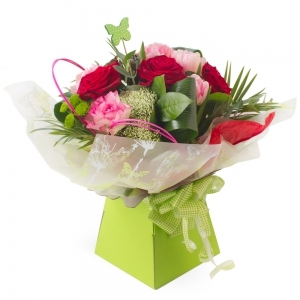 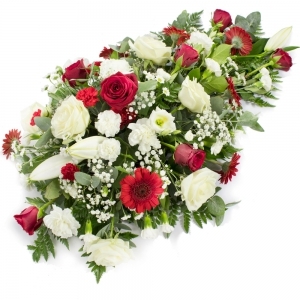 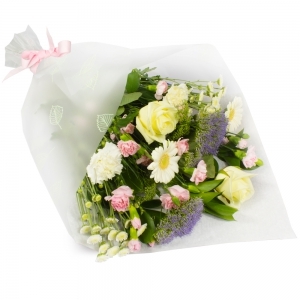 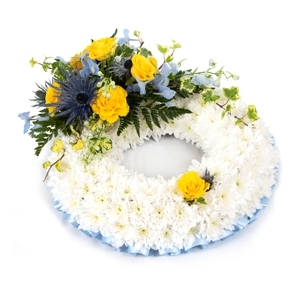 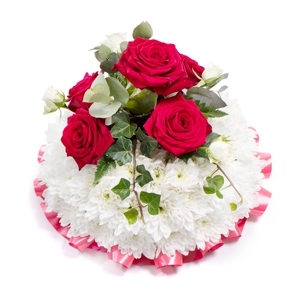 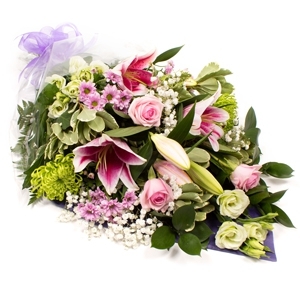 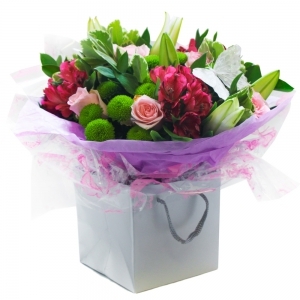 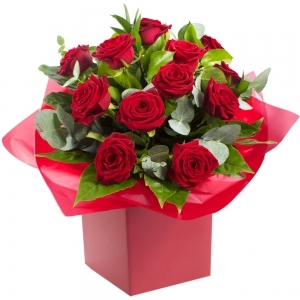 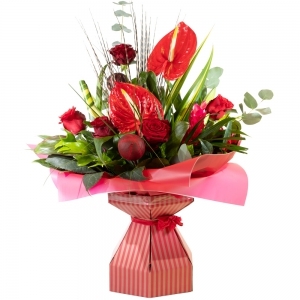 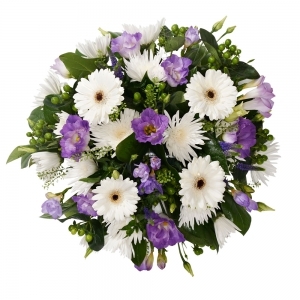 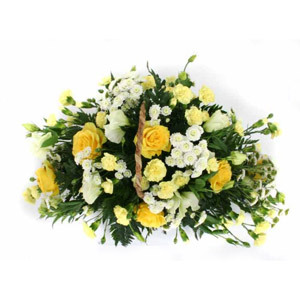 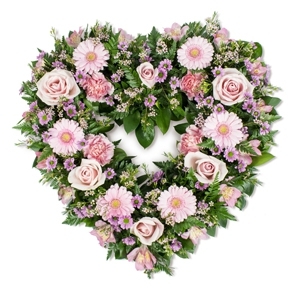 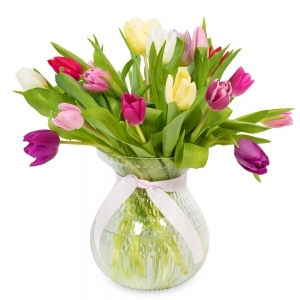 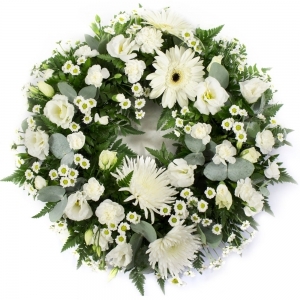 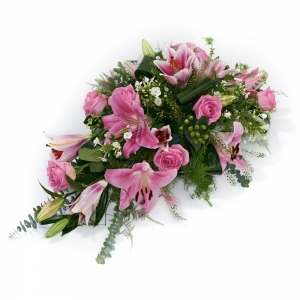 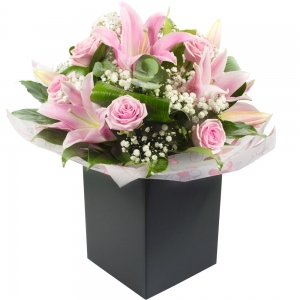 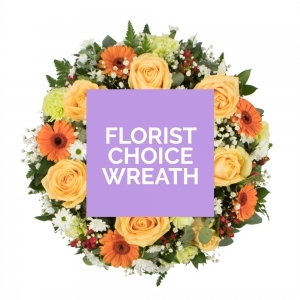 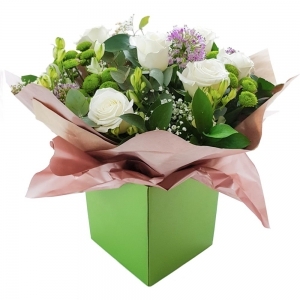 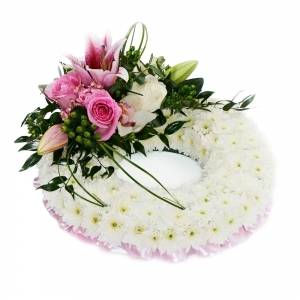 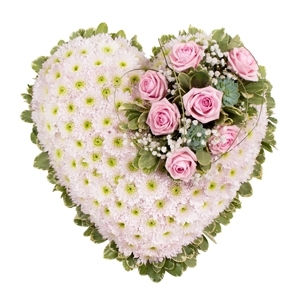 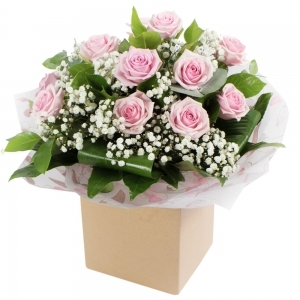 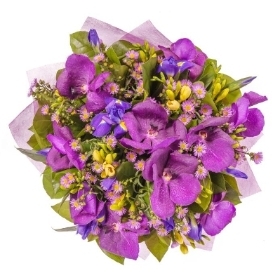 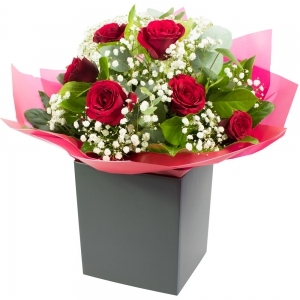 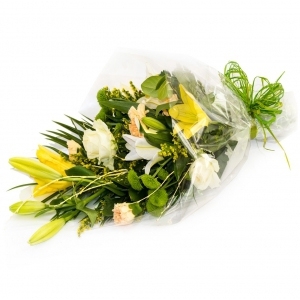 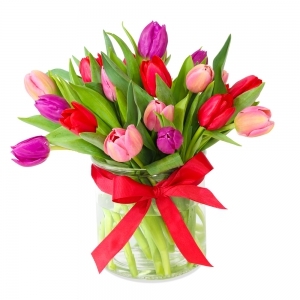 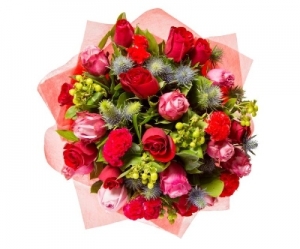 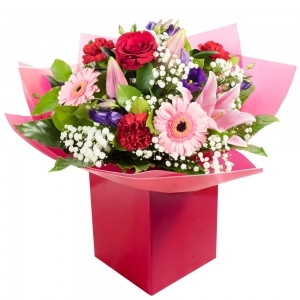 Anne Whysall Florists are based in Pontesbury, Shrewsbury. 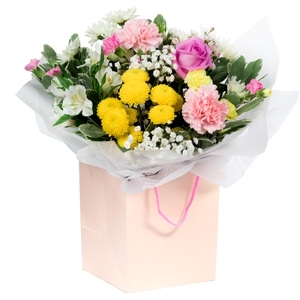 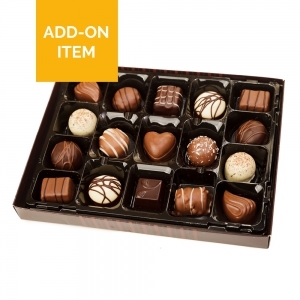 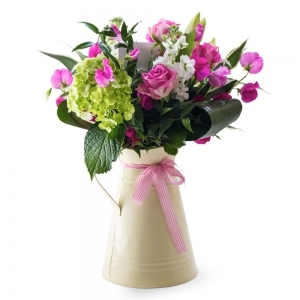 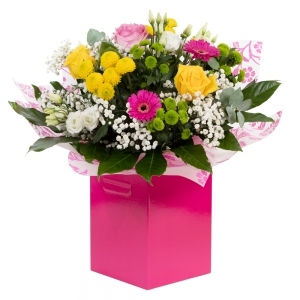 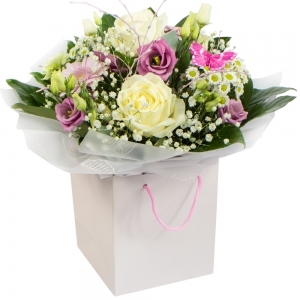 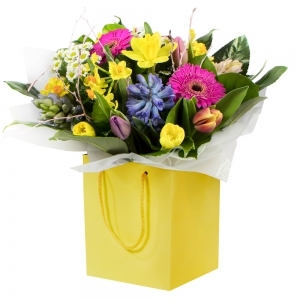 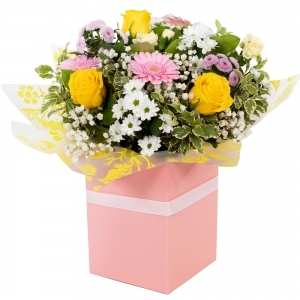 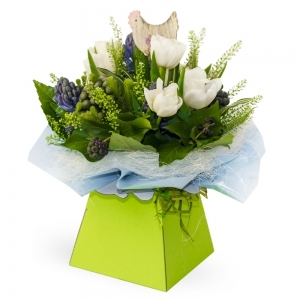 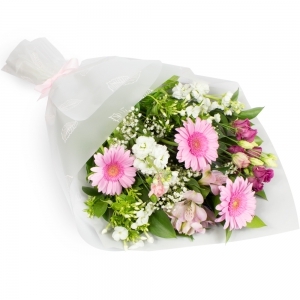 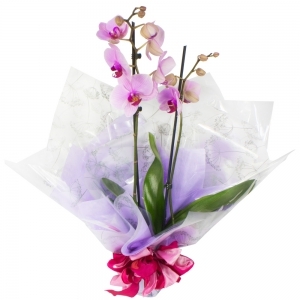 We offer a local same day delivery service, for orders placed before 2pm. 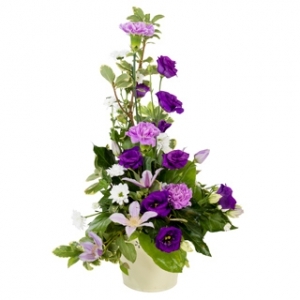 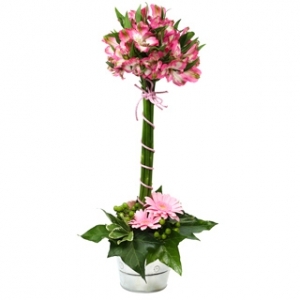 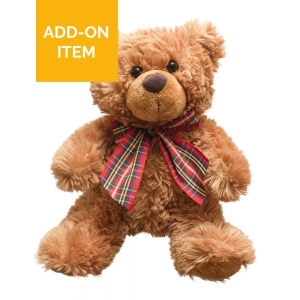 We are also able to offer both national and international delivery. 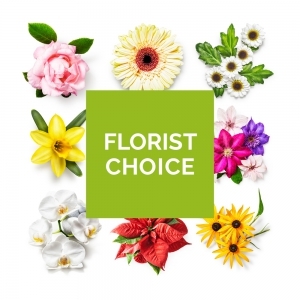 We are members of the British Florist Association and have recently been accepted into the prestigious Good Florist Guide. 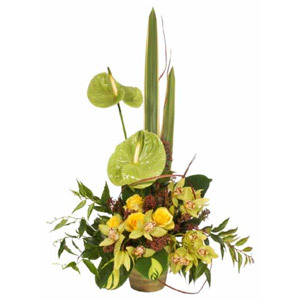 Flowers and design are our passion. 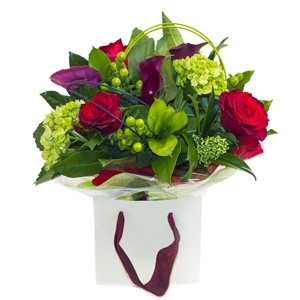 Every design we make is made with care, dedication and creativity. 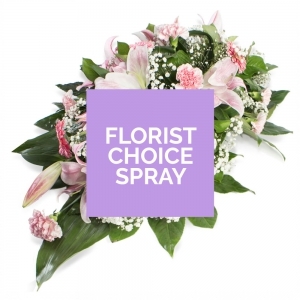 Customer service and satisfaction is paramount to us which means we only buy the best quality products and store them in a purpose built glass fronted flower chiller to ensure maximum longevity for our customers. 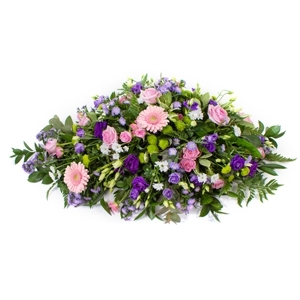 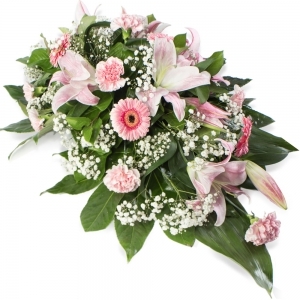 Anne is a specialist in Wedding and Event flowers; having spent 15 years working and teaching in the industry she has developed a broad sprectrum of experiences and skills. 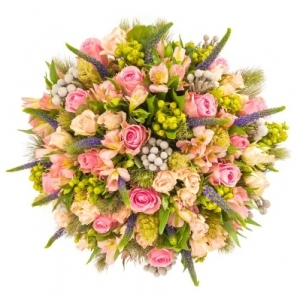 Anne has trained under world renowed florists and has lead teams of florists to multiple gold medals at National RHS flower shows. 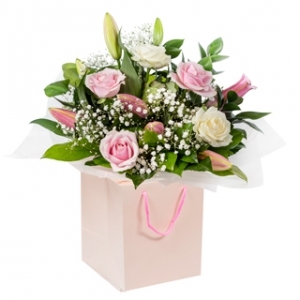 We offer a local same day delivery service, for orders placed before 2pm. 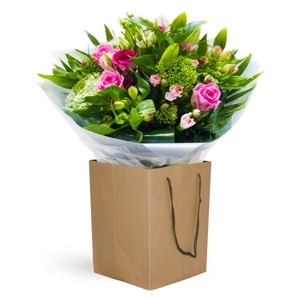 The following areas are available for same day delivery at a charge of £6. 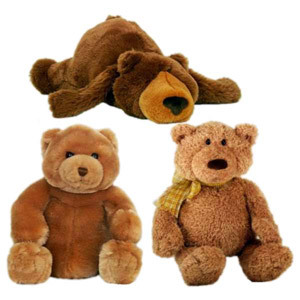 SY1, SY2, SY3, SY5 0 (excluding Pontesbury and Pontesford), SY5 8, SY5 9. 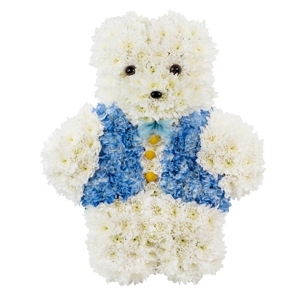 All other local locations will be charged at £8. 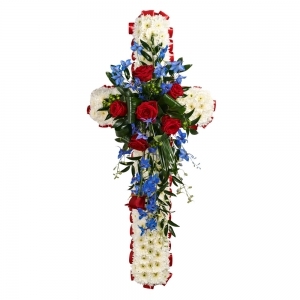 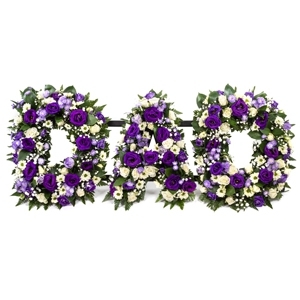 Beautiful floral tribute. 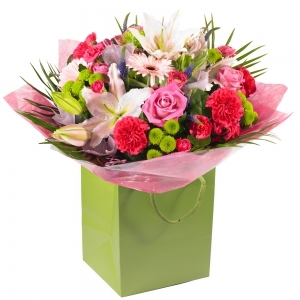 Recipient was delighted with them. 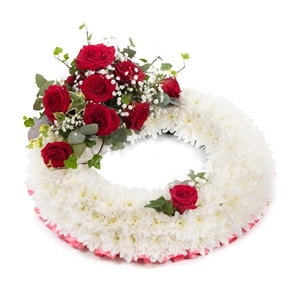 They were stunning. 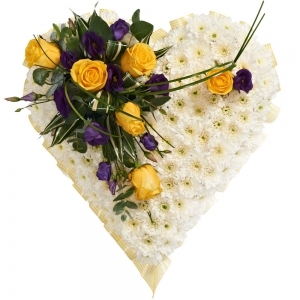 Flowers were delivered quicker than anticipated and were absolutely beautiful. 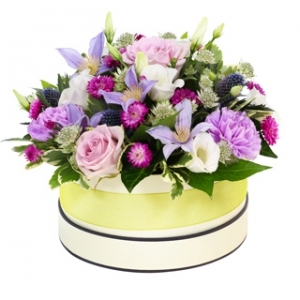 This colour combination really creates the wow factor. 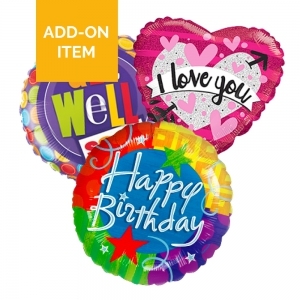 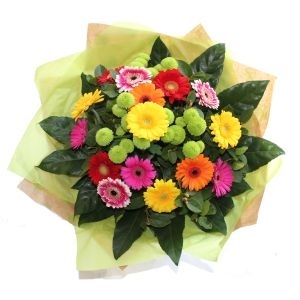 A fun mixture of brightly toned flowers. 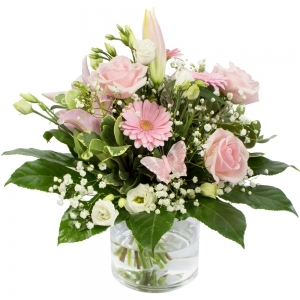 Pretty pastel shades give this design a delicate feminine feel. 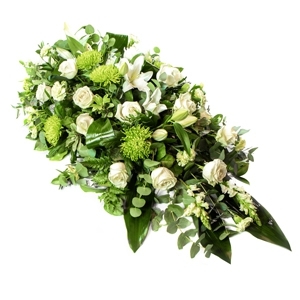 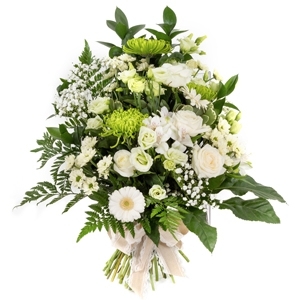 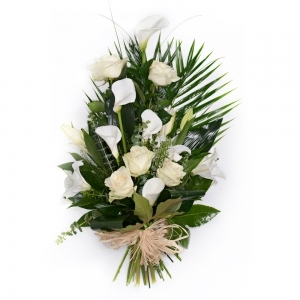 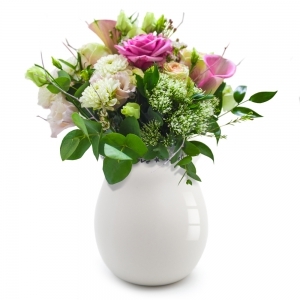 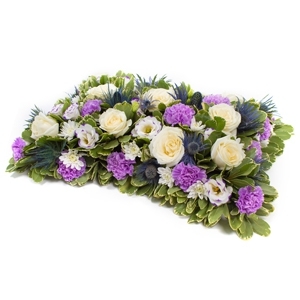 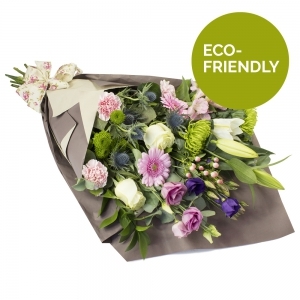 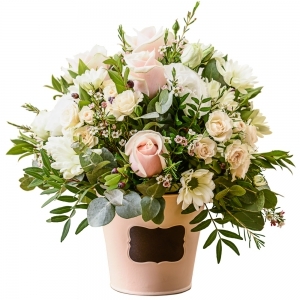 A classic neutral combination complimented by natural mixed foliage's. 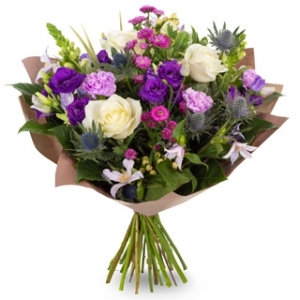 A dramatic purple and blue combination for something a bit different. 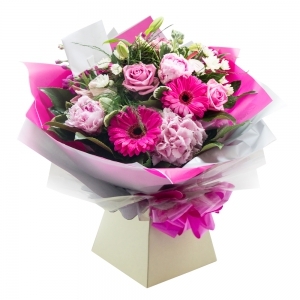 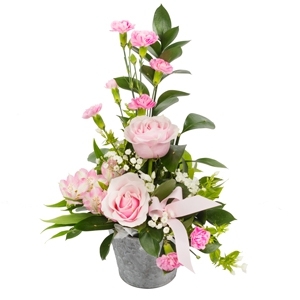 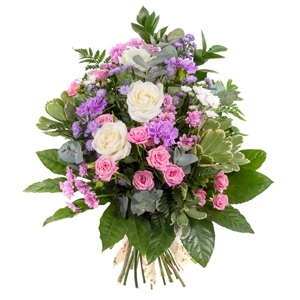 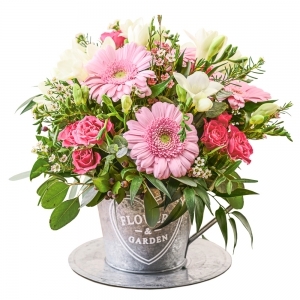 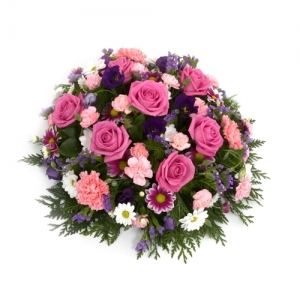 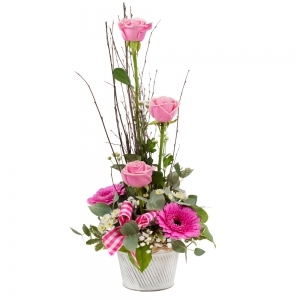 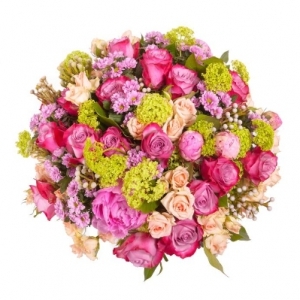 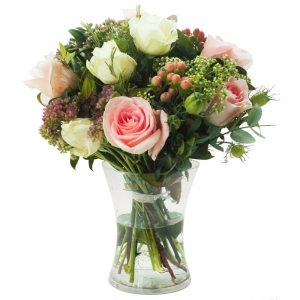 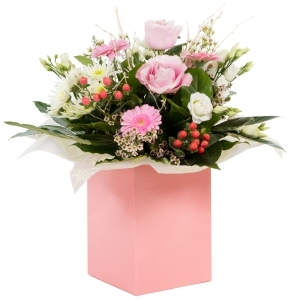 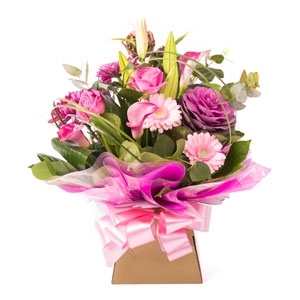 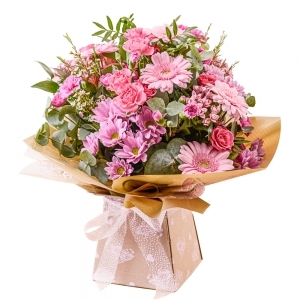 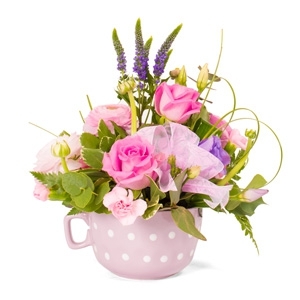 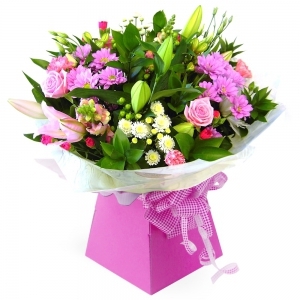 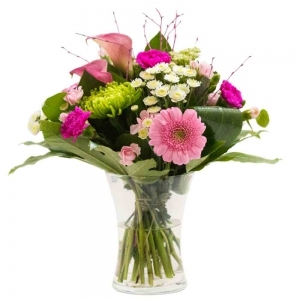 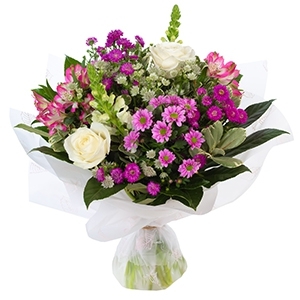 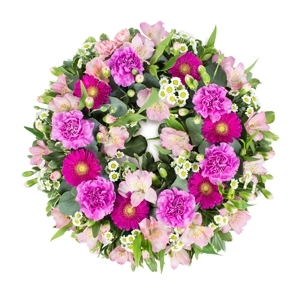 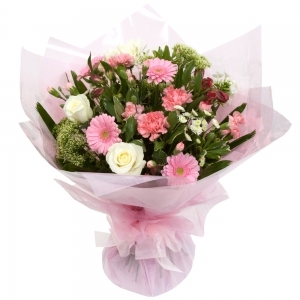 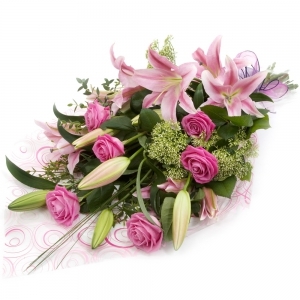 A selection of beautifully classic pink flowers. 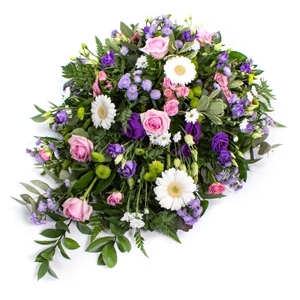 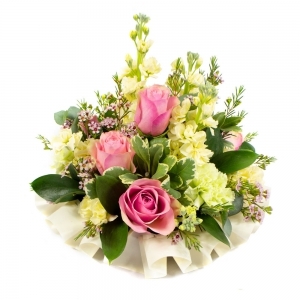 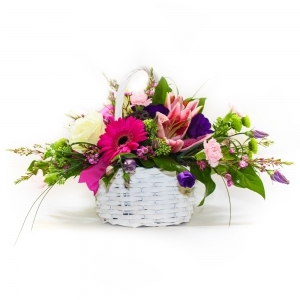 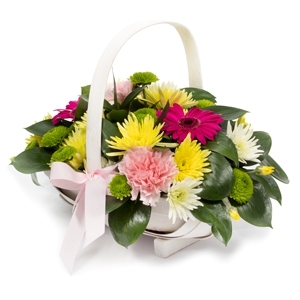 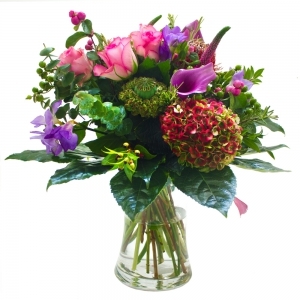 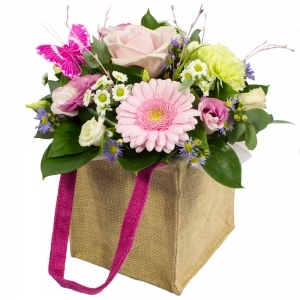 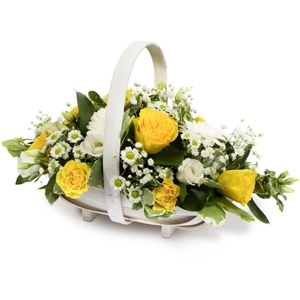 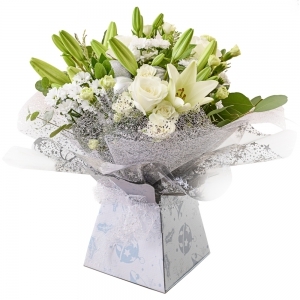 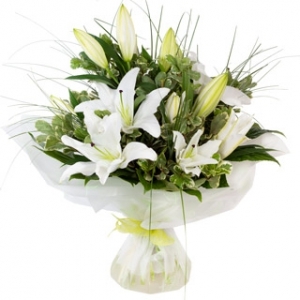 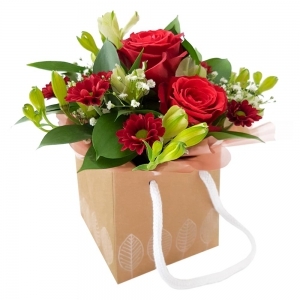 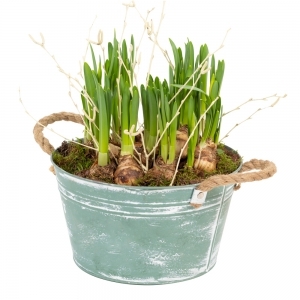 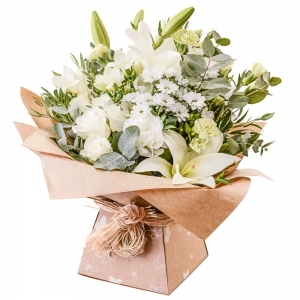 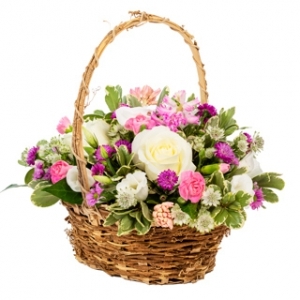 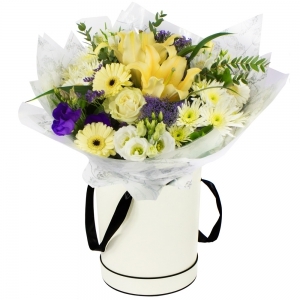 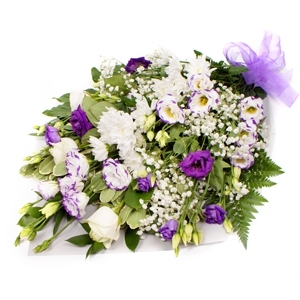 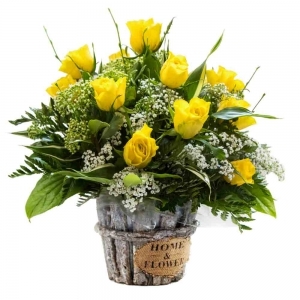 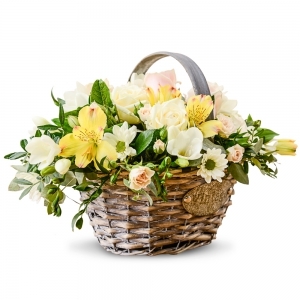 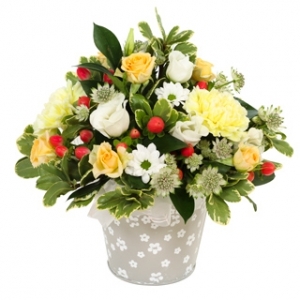 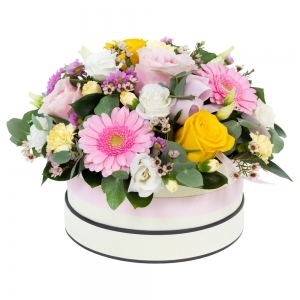 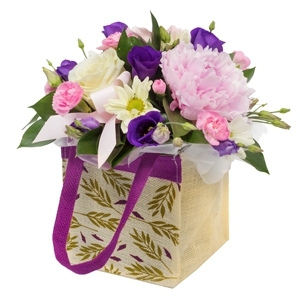 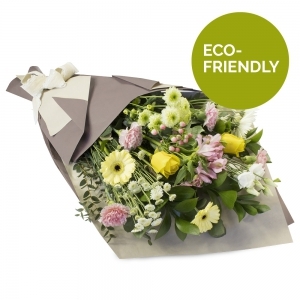 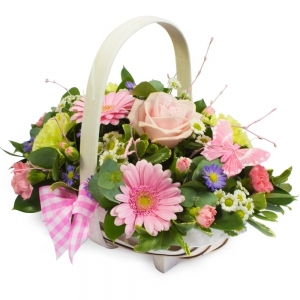 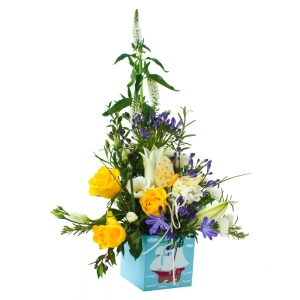 A wonderful mixture of seasonal flowers presented in a luxury basket. 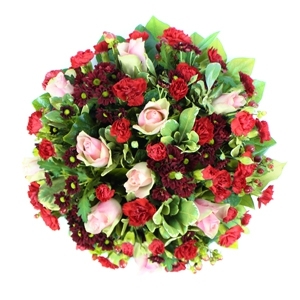 Beautiful ruby red and pink shades with deep green foliage's. 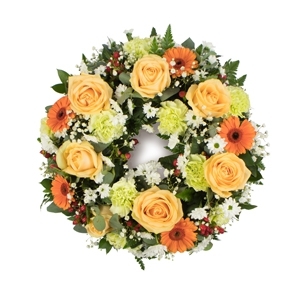 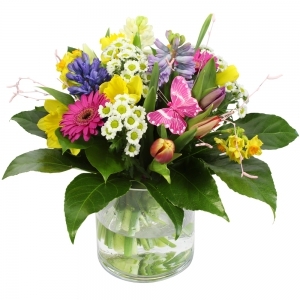 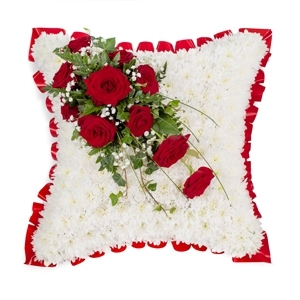 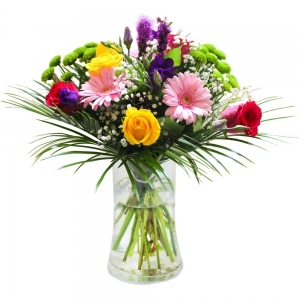 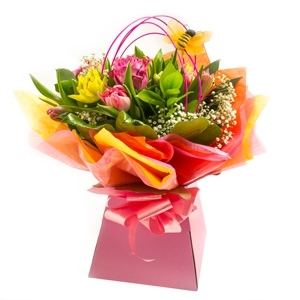 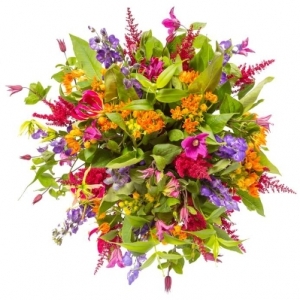 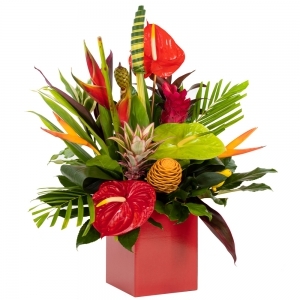 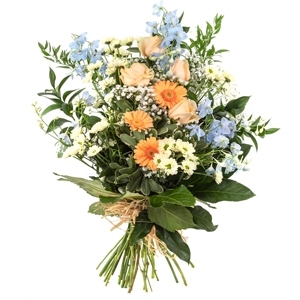 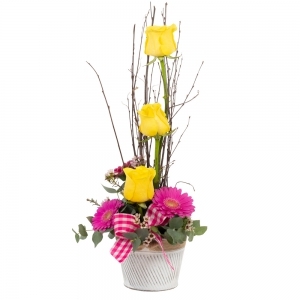 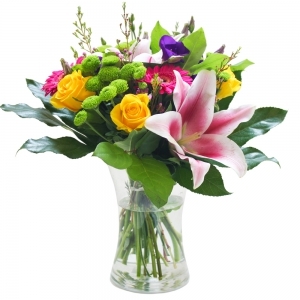 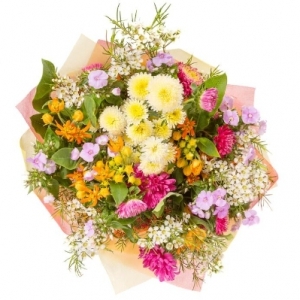 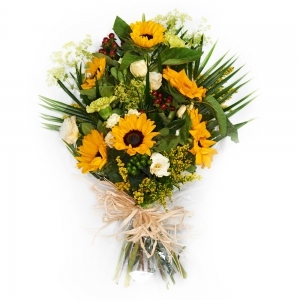 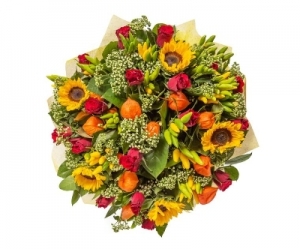 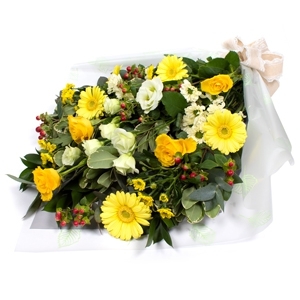 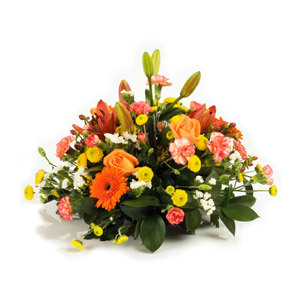 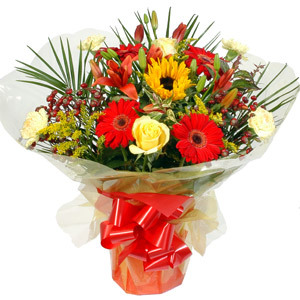 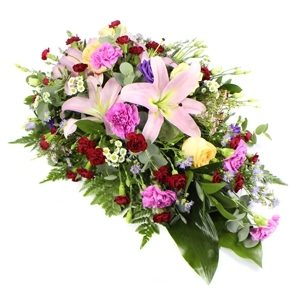 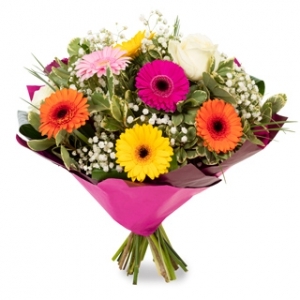 A bright selection of colours with orange, red and yellow flowers.